One little secret about me is that, in the past, I have had two other blogs. 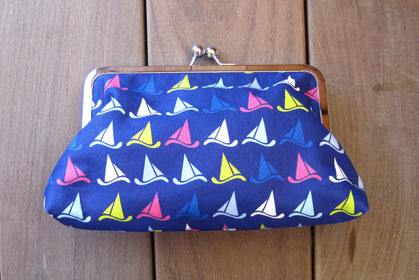 In one of them, I was lucky enough to interview Kearsley Lloyd of Tipsy Skipper, an amazing accessories line created nearby in Rhode Island (check out a repost of the interview below). Her story was inspiring and her designs and classic and fun! I have been a follower of the brand since the beginning and am constantly lusting over the new pieces. I recently stopped by the website and once again loved it all. With summer quickly approaching and new items such as earrings and key-chains, I think it's time to add a new piece or two to my collection. 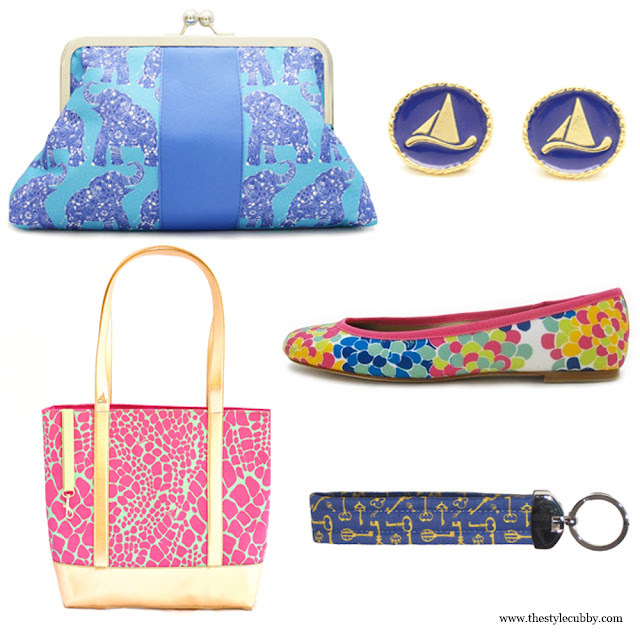 I am so excited to introduce all of you to a fantastic brand, Tipsy Skipper. This brand has been on my radar for some time and I can’t believe I am only now talking about it. I think it is super awesome when companies work hard to have 100% American Made products and Tipsy Skipper does just that. So cool! Tipsy Skipper was started by Kearsley Lloyd who just so happens to be a descendant of the infamous Captain Morgan (yes, it was a real person!). Like me, Kearsley loves anything to do with water, sailing, summer and just generally enjoying life. 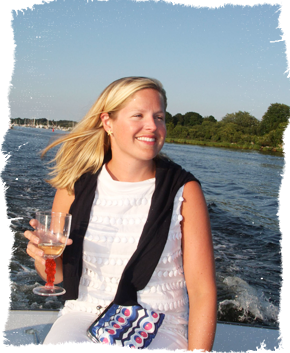 She was able to launch her own company after gaining experience at both Lilly Pulitzer AND Vineyard Vines. Hello, insanely jealous. The patterns she designs are super cute and fun. So much so that it is hard to choose a favorite! Ms. Tipsy Skipper herself was nice enough to answer a few questions for me so you all can get to know the woman behind the brand a little better. Be sure to head on over to her website and get ready to check out some truly amazing designs! Where does the name “Tipsy Skipper” come from? Which Tipsy Skipper pattern is your favorite? Yikes! That’s the toughest question you could ask me! Choosing between my designs is like choosing between children! I would have to say that I’m in love with Starboard Tack. Who (if anyone) has influenced you the most? There are two people that influenced my art and design early on. I was fortunate to work with two very creative artists between the ages of 6-12. They introduced me to working with different media, and even cultural influences, and taught me to think in a new way. One teacher was traditional; the other was more eclectic and multicultural. I’m a one-day-at-a-time kind of person; I’m going to let Tipsy Skipper decide. All I can tell you is I’ll be at my next trunk show event on July 6 haha! I’m having a lot of fun, and that’s how I’d like it to stay! What is your favorite drink to get “tipsy” on? My favorite drink is the Tipsy Skipper cocktail! The great folks at Gosling’s Rum have created a custom Tipsy Skipper cocktail! I just filmed a quick video today – a ‘how to’ which will be up on the facebook page within the next week http://www.facebook.com/tipsyskipper While the name is obvious, a Tipsy Skipper knows the difference between ‘Tipsy’ and too much! Drink responsibly, and always fashionably! I hope you all enjoyed learning about Tipsy Skipper. I do hope you will hop on over to the site and say hi!